Pork is one of the world's most widely consumed meats, with the pig industry undergoing recent rapid expansion across Asia and Latin America. 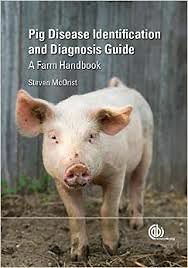 This textbook covers more than 100 of the most common pig diseases. With each presented as a case study, the book uses a question and answer format to enable students to recognize the key features of each disease, identify the problem and suggest a course of action. Fully illustrated throughout with color photos, this is an invaluable learning tool for veterinary, animal science and agricultural students, as well as a useful resource for veterinarians.